"Edouard Judas Colonne was a French conductor and violinist. He was born in Bordeaux (southwest France). Colonne studied at the Conservatory in Paris where he won first prizes in both harmony and violin. In 1858-67 he was first violinist at the Opéra in Paris. In 1873, Colonne, along with music publisher G. Hartman, founded the 'Concert National' at the Odéon Théatre. Two years later, in 1875, the venue changed to the Théatre du Châtelet and the name of the enterprise was changed to The Association Artistique du Châtelet. The Association eventually became known as 'Concerts Colonne'. He was noted for his interest in Berlioz (who was then more highly regarded in the English- and German-speaking countries than in France) and for his support of Wagner's and Mahler's music. He was also the first conductor of eminence to make commercial gramophone (phonograph) records (for the Pathé company, 1906). I cannot recall hearing a record in many years that grabbed my attention like this one. 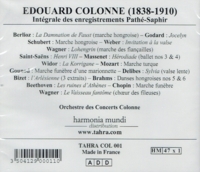 The first impression is created by the rhythm – an unmistakable, throbbing, eminently flexible pulse….These performances are flourish from start to finish….Colonne was one fine conductor, working with an orchestra far superior to that which one is accustomed to hearing on acoustic discs. Nor does he seem in the least intimidated by the recording horn; gleeful abandon seems to have been the order of the day….it is not often that all the pleasures of listening to historical recordings come into such perfect alignment." "Judas Colonna, known as Édouard Colonne (1838-1910), the founder of the concert society to which he gave his name and which survived him, was the most active and influential champion of Berlioz in his time, and probably conducted more performances of Berlioz than any other conductor until Colin Davis. It was only after 1871 that Colonne’s real career began; the humiliation of France by Prussia in the war of 1870-71 provided a stimulus and a context for the revival of French musical life. With the support of the publisher Hartmann and a group of young French composers, Colonne recruited an orchestra and founded a concert society, the Concert national, which gave its first concert at the Odéon theatre on 2 March 1873. On the 9th of November of the same year the society moved its venue to the much larger Châtelet theatre (it had a seating capacity of no less than 3,600) where it remained throughout Colonne’s career and beyond. 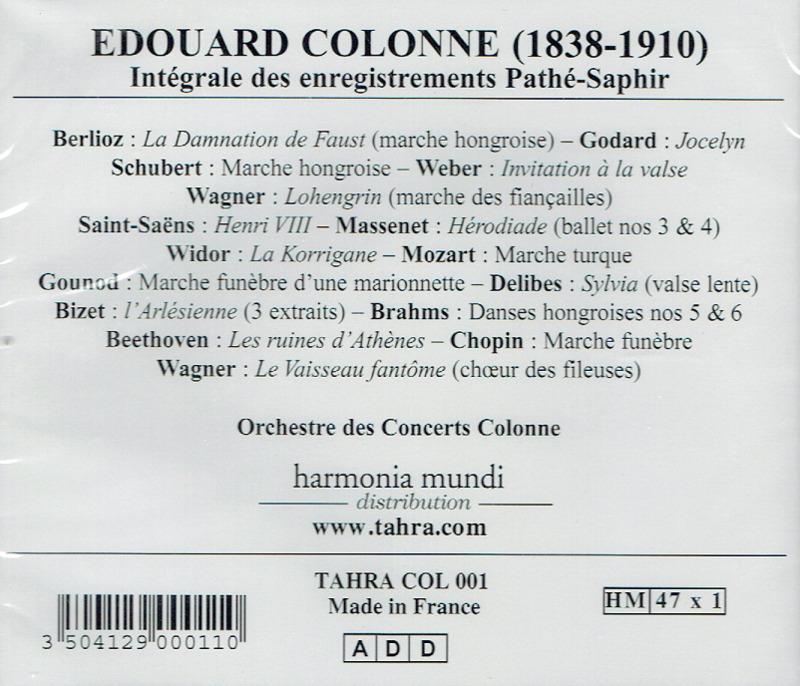 Because of financial constraints the society did not last beyond the end of the 1873-74 season (its last concert was on 22 March 1874), and was forced to reconstitute itself on its own under the new and this time permanent title of the Association artistique, often referred to simply as the Concerts Colonne. In its new guise and after some initial delay the society eventually started its first season on 15 November 1874. During the early stages of Colonne’s enterprise it was not obvious that he was destined to become the foremost champion of Berlioz of his time in France and abroad, nor did he create by himself the Berlioz revival of the 1870s which had in fact started to develop before him….In 1873 and 1874 more Berlioz was being performed elsewhere in Paris than at Colonne’s concerts….it was Colonne who was identified with it and over his career he probably gave more performances of LA DAMNATION than any other conductor since Ernest Reyer….The public never seemed to tire of hearing the work, though some critics occasionally did (see for example the reviews of 24 December 1893, 6 May 1894 and especially 20 December 1896), and from time to time LE MÉNESTREL warned its readers that it would not review every single performance of the work. 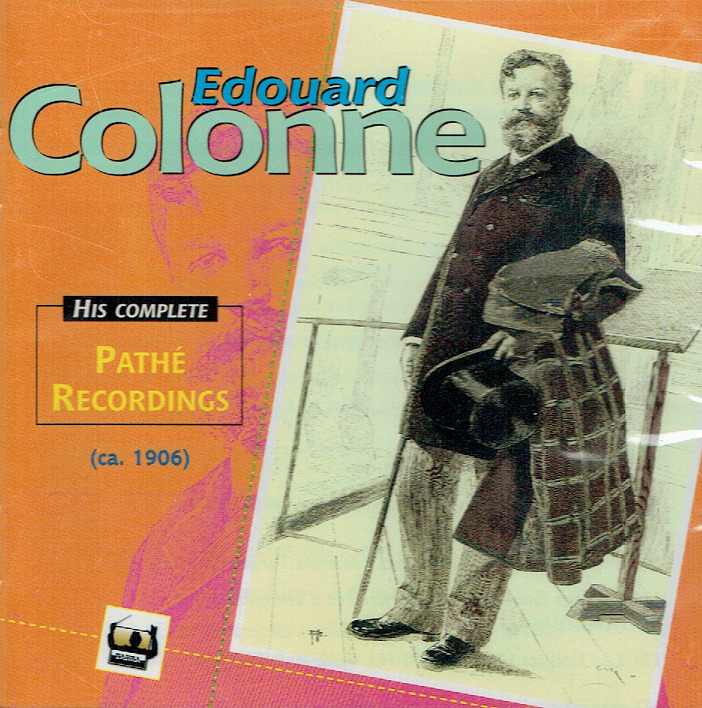 Colonne’s success with LA DAMNATION in February and March 1877 established him at a stroke as the most popular conductor of the day, and the most persuasive advocate of the music of Berlioz, to which the public now became more receptive than ever. Colonne will have been pleased with the unanimously favourable reaction of the press)….The icing on the cake will have been the public gift by one of the testamentary executors of Berlioz, his old friend the instrument-maker Édouard Alexandre, of one of the batons that he had himself inherited from Berlioz….This symbolic recognition of Colonne’s new status came as a direct consequence of the triumphant performances of LA DAMNATION….Twenty years later, in 1900, Colonne was promoted to the rank of Officer of the Légion d’honneur, the first conductor to receive the honour, though he modestly refused to claim any greater achievement than that of having survived his two older colleagues Pasdeloup and Lamoureux, to whom he paid tribute. The now ageing Ernest Reyer attended the ceremony and in his speech linked the names of Berlioz and Colonne…. "Tahra is a tiny classical music record company based in rural France. It's run by Myriam Scherchen, daughter of Hermann Scherchen, who co-ran the music label Tahra, which released officially authorized historical recordings of conductors such as Scherchen, Furtwängler, Mengelberg and others, generally drawn from primary recorded sources. Tahra ceased business after the death of the co-principal of the label, René Trémine. And despite its small size, the label has won some of the classical music industry's most prestigious awards, outgunning many of the big multinational conglomerates that dominate classical music today. Tahra's records are historical recordings, often taken from 78s or tapes of decades-old radio broadcasts".